Brian has extensive experience in international sales and marketing in the I.T. Industry. In 2001 he was a founder of Meridio, the enterprise documents and record product company. As the CEO, he grew Meridio into a Microsoft Gold Partner company with 175 staff and over $20m annualized revenue. In November 2007 he led a trade sale of Meridio to Autonomy plc and left the company in May 2008 following a six month integration programme. Prior to founding Meridio, Brian spent 15 years with ICL, most recently as MD of ICL in Ireland. 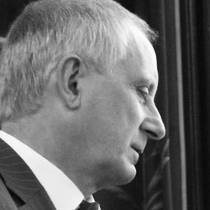 Brian was also a Non-Executive Director of Lagan Technologies – a global leader in Enterprise Case Management.